For formal occasions or business affairs, men should wear lightweight suits and ties or a dinner jacket in the evening; women a lightweight two-piece suit or equivalent. Most businesspeople are able to conduct a conversation in English, but Spanish is more widely spoken. Appointments and normal business courtesies apply. Most businesses shut down between December and February for the summer. Private sector: Mon-Fri 0800-1700, Sat 0800-1200. Public Sector: Mon-Fri 0700-1300. Paraguay's agriculture plays an important part in its economy, supplying one-quarter of GNP and almost all the country's export earnings. Production of Paraguay's principal cash crops, cotton and soya, expanded rapidly during the late 1980s and continues to grow annually. Other crops such as sugar cane, maize and wheat are also grown on a commercial scale. Paraguay is one of the world’s major beef exporters, ahead of neighbouring Argentina. Most cattle ranches are located in the remote Chaco region and mainly export to Chile, Brazil and Russia. Hydroelectric projects, undertaken jointly with Brazil and including the world's largest hydroelectric dam at Itaipu, have made Paraguay self-sufficient in energy. Despite the global recession, the economy is booming in Paraguay and unemployment is down to 6.3% (2012). 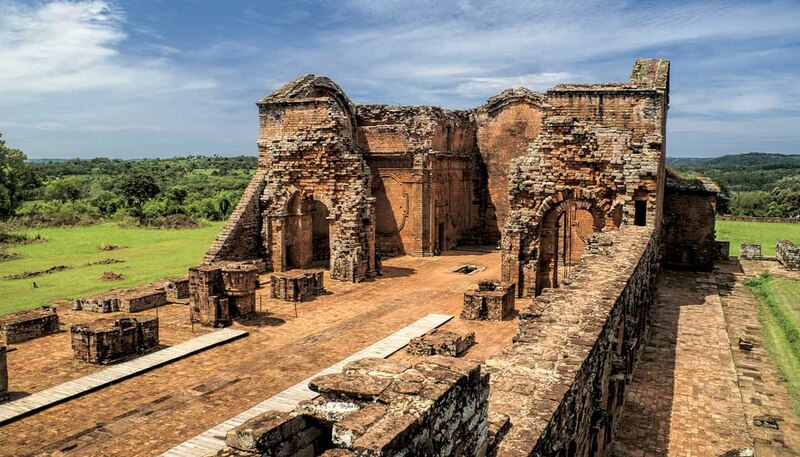 Paraguay is a member of the 11-strong Latin American Integration Association (ALADI), which seeks to promote free trade and economic development within Latin America. It is also a member of Mercosur. Electricity, soybeans, cotton, meat, leather and timber. Petroleum, machinery, road vehicles, tobacco and consumer goods. Taiwan, Brazil, Argentina, Russia and Uruguay. Moderate internal network apart from the main cities. Roaming agreements exist with international mobile phone companies. Coverage is limited to urban areas. Internet cafés are available in main urban areas. The press and broadcasters air a range of views, including those of the opposition. But journalists investigating corruption, or covering strikes and protests, risk intimidation, and media outlets sometimes face legal harassment. Airmail to Europe takes five days.